The final @WSOP Circuit Ring goes to JC Tran, winner of the High Roller. 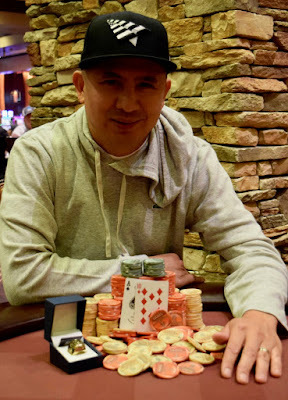 Tran defeats Will Givens heads-up for the title, the Circuit Ring and a $43,500 cash. This is Tran's second WSOP Circuit ring (the first a 2005 ring from the Rio in Las Vegas) to go along with two WSOP Bracelets, two WPT titles - including the inaugural WPT Rolling Thunder in 2014 - and close to $13 million in career earnings.